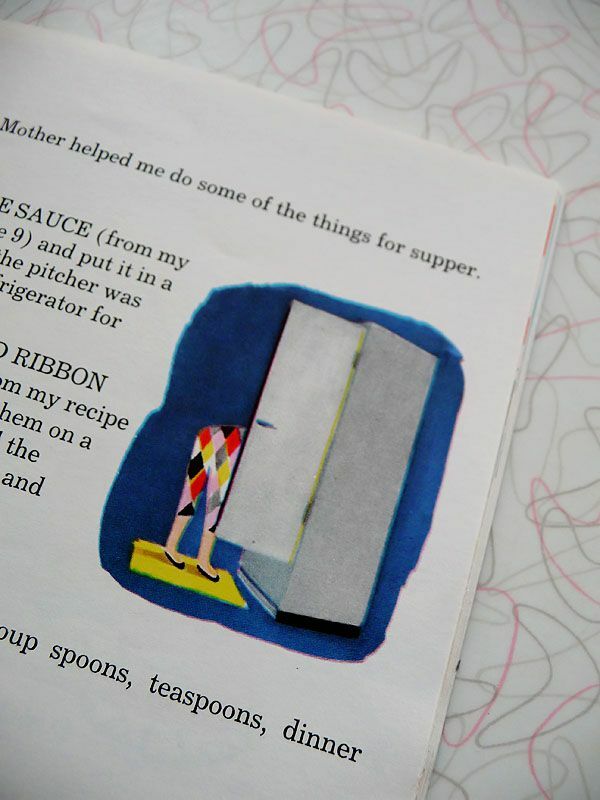 Vintage Book Shelf :: the Fun to Cook Book! 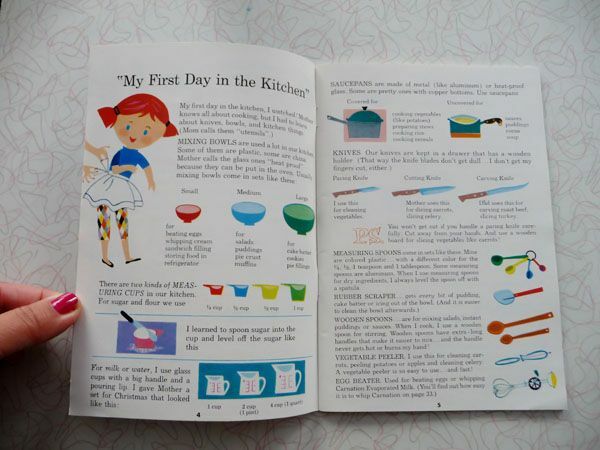 This is the cutest little kiddo cook book ever. 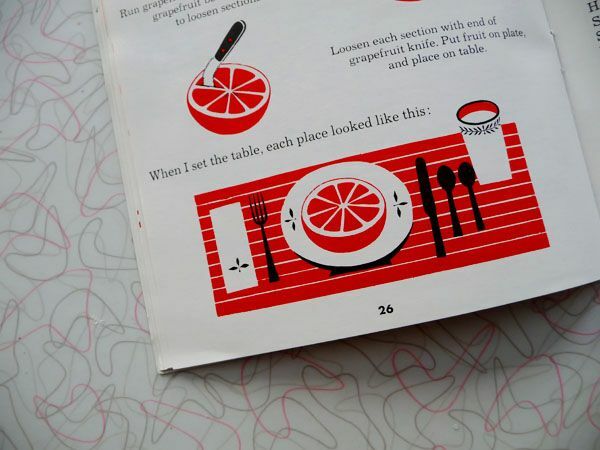 Easy peasy recipes and the BEST little spot illustrations throughout. I mean, two words: harlequin pants. OH YEAH. Aren’t they amazing?? Uh oh….here she is again! So amazing!I love cook books, don’t you?? Compiled by Margie Blake. Carnation Company. 1955. Reprinted in 1964. And then 1978. And even the 80s. Who can blame ’em! To see the more from the Vintage Bookshelf Collections, go here! THAT.is the cutest damn cook book I’ve ever laid eyes on!!!!!!!!!!!!!!!! the illustrations (and yes, those harlequin pants!!!) 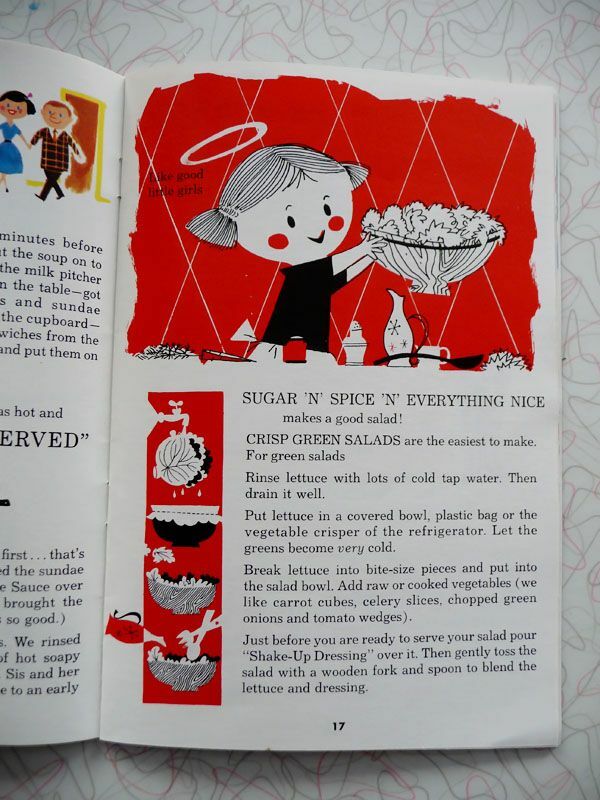 but also, the darling little recipes! Wait, do you not have this?? How can that be!! I might have an extra, if I do I’ll send it to you, my fellow book lover! 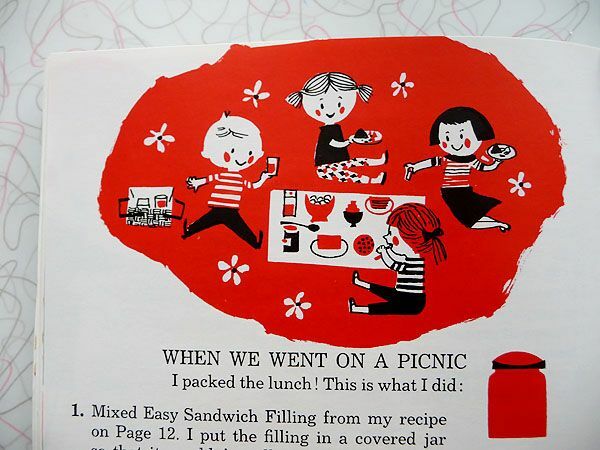 I featured that book in a Retro Round Up last year–man—I wish I bought it now because it is so darn cute! FIE! I love this book, it’s been a favorite of mine on etsy for quite some time. VintageJane is selling it for anyone who’s interested. Such cute graphics. If my kiddo had any interest in eating anything, I’d nab it for myself. ZOMG! I HAD that book! 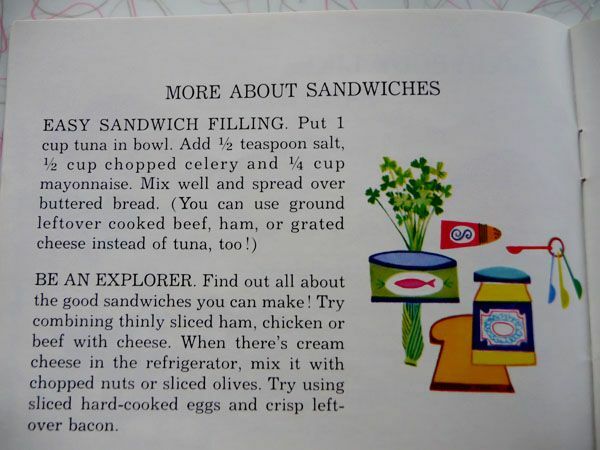 I don’t know if I actually cooked any recipes from it, but I remember the pictures so well. LOVE it! 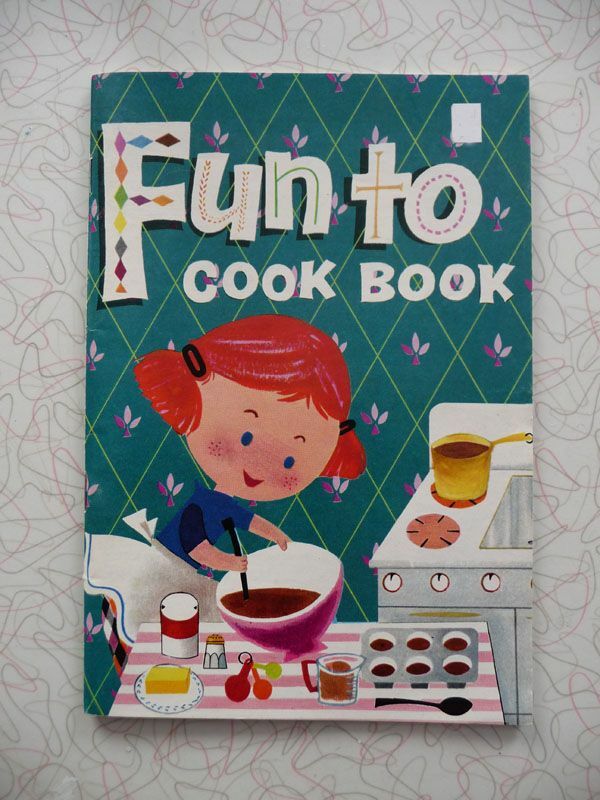 I was at our local library book sale today and had a blast from the way past when I came across this Fun to Cook book, I couldn’t believe it! I remember like it was yesterday my sister and I cooking from it when we were little, we’re 56 and 59 now. I loved that book! I bought it to send to my sister for Christmas as a joke. Now I’d like to find one for myself. It’s just so darn cute! Oh my! I had that book too! 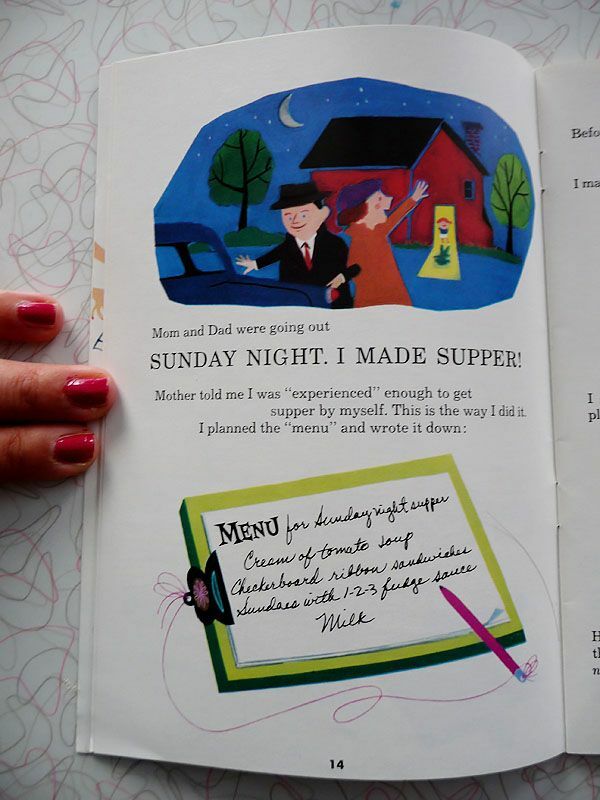 As I look at the pages, all those recipes come back to me! 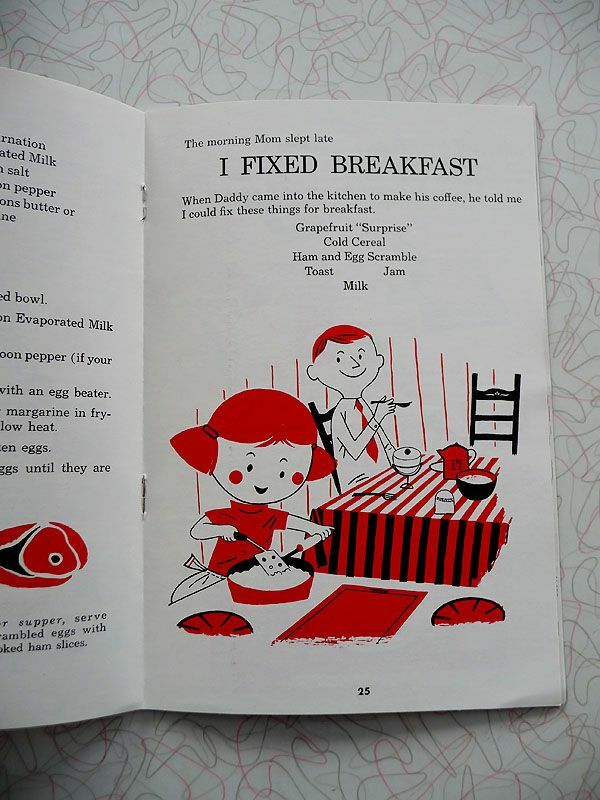 Takes me right back to the 1950s, which I’m trying to recapture through vintage ethnic cookbooks. 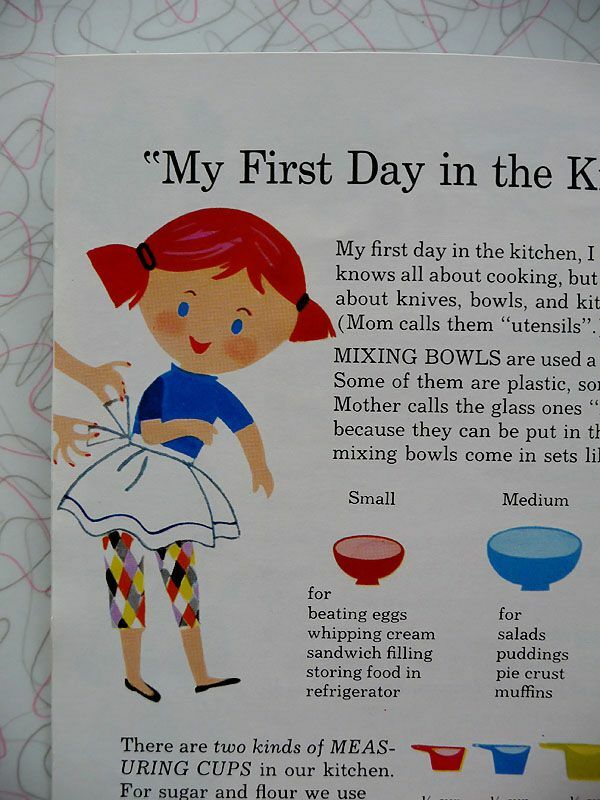 I loved this cook book when I was a kid. My older sister and I would make the pies. 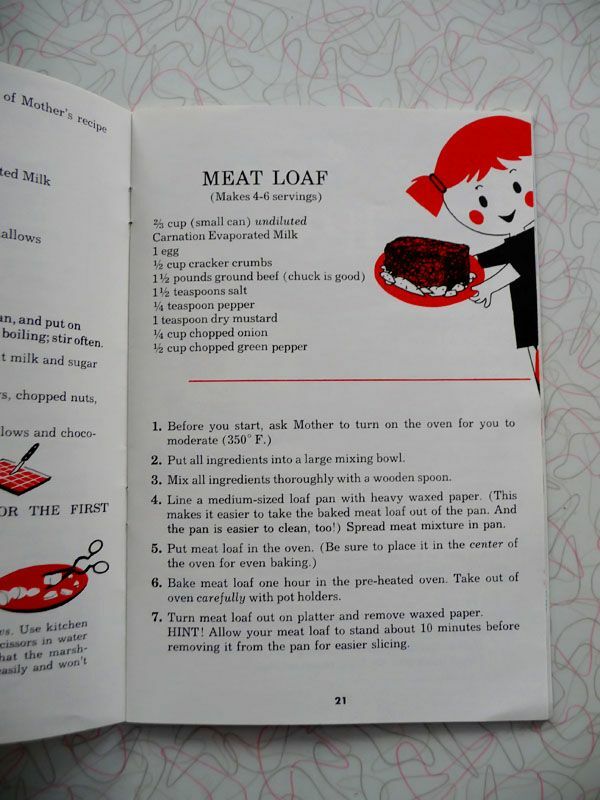 In fact, I am going to make the “Orange Pie” this coming Wednesday for a pot-luck luncheon. 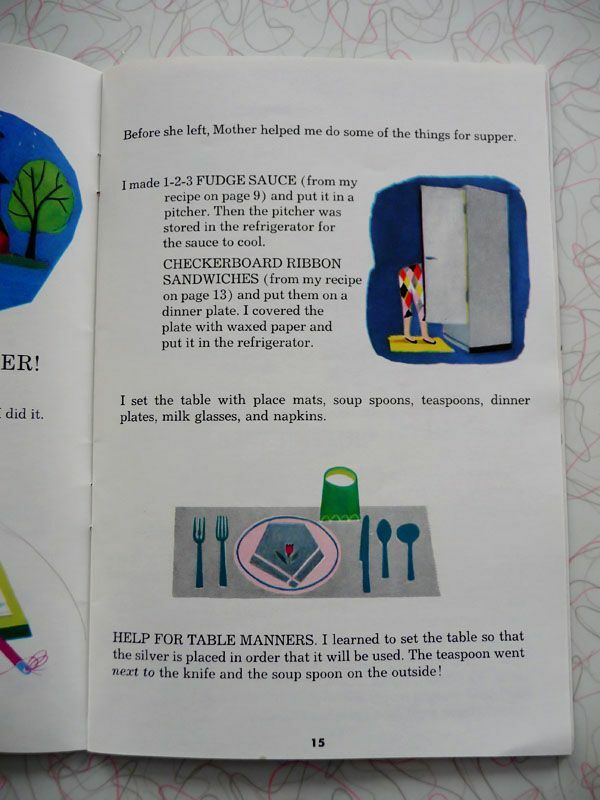 Would you believe that I am almost 62 and still use this children’s cook book? 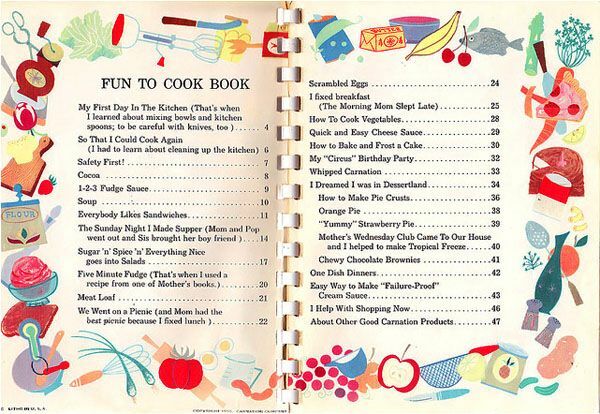 Oh my goodness I had this book and in mine I accidentally spilled cocoa on the page entitled “Supper Cocoa” I made as a treat one day for my mother, father, and two younger sisters!